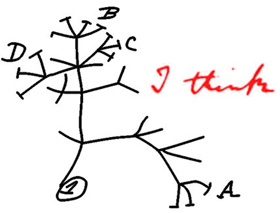 In the MEME programme, “evolution” is studied in all its facets. As a consequence, MEME has a very broad multi-disciplinary focus. Evolutionary biology seeks to understand the functioning of the living world (from bacteria to humans) by viewing organisms and their interactions as the result of a historical process that is driven by natural and sexual selection, the interplay of genetics, epigenetics and development, the interactions of organisms with their biotic and abiotic environment, biogeography, and macro-evolutionary processes like speciation. Modern evolutionary biology is not primarily focused on understanding the history of life and the course of evolution in the past, but mainly addresses evolution as it is happening now. Only few scientific theories have been as influential as Darwin’s theory of evolution. As it became obvious that many biological processes are better understood in their evolutionary context, evolutionary thinking became an integral part of disciplines such as ecology, developmental biology, biogeography, phylogenetics and, more recently, epidemiology, immunology, genomics, bioinformatics, and systems biology. In addition, evolutionary thinking is gaining a strong foothold in non-biological disciplines such as economics, informatics, robotics, medicine, sociology, anthropology, linguistics, psychology and even philosophy. 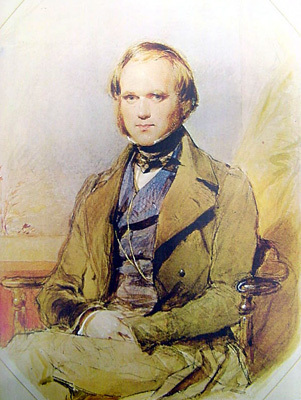 For example, evolutionary principles help us to understand why we get ill and how to protect against diseases (“Darwinian Medicine”); they help us to understand the human mind (“Evolutionary Psychology”), and they provide an explanation for the functioning of organisations and markets (“Evolutionary Economics”).